Deploying units to a critical incident as soon as possible is imperative. In order to speed up response times, you have to look at your available resources and pair them with the situation you want to improve. Two questions should immediately come to mind. First, what resources aren't you tapping into, and second, of the ones you are using, how can you use them more effectively? We must find a way to create some type of tactical advantage. There is a saying that goes something like, you go to war with the army you have and not the one you wish you had. It's no different in law enforcement; the units you deploy are the ones that are available. And if you have a motor unit, remember to count it as one of your options. With a motor unit, you can create some unconventional options if you think outside of their traditional roles. If your agency's command staff doesn't grasp that motor units are more than just traffic units, they are failing to use them to their full potential. I know that in my former agency, I had a hell of a time convincing them otherwise in the five years I was the motor unit lieutenant. 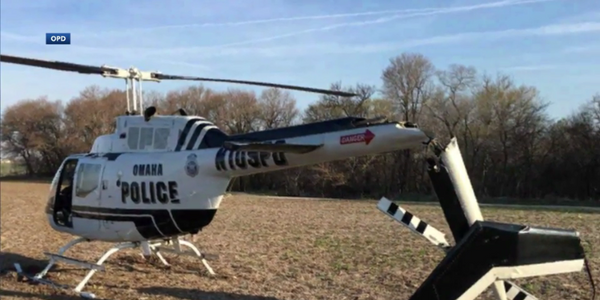 To be more effective as an agency, your command staff should expand their vision for their motor unit and consider them as a resource multiplier. They need to add missions and the accompanying training that go far beyond the traffic role. Members of a motor unit have several advantages going for them. 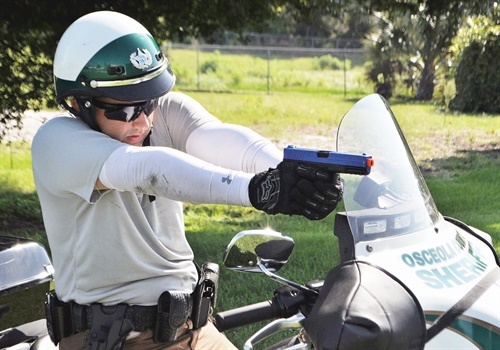 They ride motorcycles that are highly maneuverable, officers can be easily freed from their primary duties, and they can certainly train to a higher tactical standard. There are places where a motorcycle can go that a patrol car can't. This was emphasized when I had my entire motor unit attend police motorcycle instructor school. We learned very quickly we could take our police motorcycle (Harley, Kawasaki, BMW, doesn't matter) just about anywhere. We learned to ride ours through sand, mud, wet roads, and in just about any road condition except snow (sorry, I worked in Florida). We also learned that the police motorcycle can become a dirt bike of sorts and hit terrain often considered off limits to a street bike. On our training days, when the Osceola Technical College happened to be closed, we rode our motorcycles in and around campus. On the perimeter of the campus we rode in the wooded sections and either followed walking trails or made our own. We also rode in between buildings, along walkways, down ramps, and anywhere we could fit. Though we were never allowed to ride inside the buildings, we could have easily done so if necessary. Small unit tactics teaches that speed can be a form of security. Motorcycles are inherently fast and make for a smaller target. They can cut corners and find ways to get to their target site that a car would never dream of doing. Whatever team type movements you can do on foot, you can do with motorcycles. Motor officers can operate in teams and cover a large area quickly using bounding overwatch techniques. If you have to shoot, it is easier to shoot from a static motorcycle than in a stopped car. You can always put both of your feet on the ground and lean around your windshield. 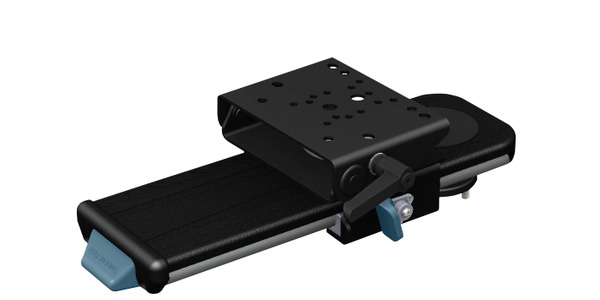 The team movement concept can be expanded to the entire motor unit. Right before I retired, we were working with our Emergency Response Team on how to use our motor unit in crowd control operations. The motor unit would function similarly to the way you would use mounted officers on horseback. If you really want to think outside of the box, motorcycles make a distinctive loud noise and can be used for distractions. Moving quickly from point to point and then using their sirens for a couple of seconds, they could easily give the impression that officers are being deployed in more positions than they really are, thus helping to confuse suspects. Because of their higher mobility, motor officers can also be used to scout an area. You can even apply this to plain clothes operations. 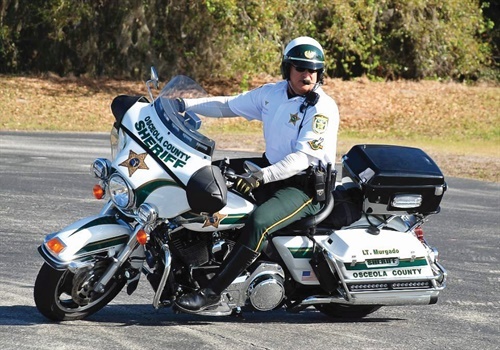 If your agency has access to or has confiscated civilian motorcycles, who says you can't put a motor officer in civilian clothes and have them report back what they see? Also, don't tell me that a SWAT trained officer who is on motorcycle doesn't open the door to some interesting tactical possibilities. Motorcycles are used throughout the world in special operations. Motors has always played a traditional role in traffic enforcement. 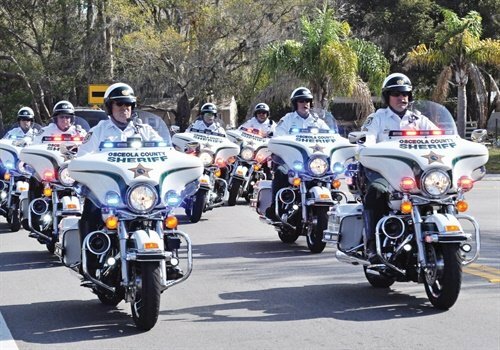 Typical motor units also provide motorcade escorts, dignitary protection, and motorcycle safety education programs, and often participate in community service (public relations) events. Unfortunately, they get pigeonholed into these roles and are seldom considered for more challenging ones. This perceived limitation works somewhat in their favor, however, because if they are fulfilling some of these more traditional roles they can usually be pulled into a more patrol-type function very quickly. For example, if you are doing a static demonstration and explaining to a group of students what motor officers do, it's not a problem to leave if you're called out to assist other officers. You can always go back to the students later when you're no longer needed on the call or re-schedule for another day. Being called out of your primary duties happens quite often in motors but mostly for secondary roles. 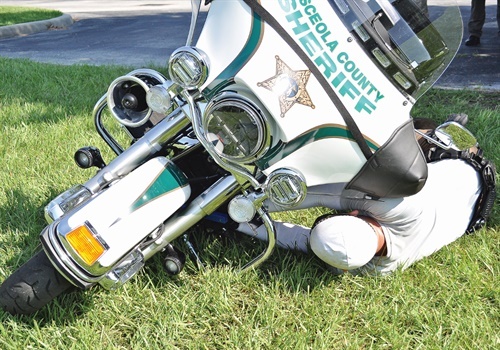 Supervisors often have a narrow view of what a motor officer can do to help them. Most supervisors only reach out to motors so they can help protect crime scenes, stand guard, reroute traffic, and a host of other busy work. Not that these aren't important tasks in the overall scheme of things, but they can also be done by anyone in a non-sworn position. For example, I always tried to plug in our Community Services Officers (CSO) wherever I could to free up sworn officers for more tactical or enforcement operations. If CSOs stopped taking reports for a while, the reports would still be there waiting for them when they were done. Despite its traditional mission, I always thought motors could assume a more tactical posture and play less of a support role, especially when responding to active shooters. In a school-based scenario, motors are usually somewhere nearby doing selective enforcement, so they would be some of the first officers to arrive on scene. I was able to convince our command staff to place M4-type short barreled rifles in each motorcycle. That helped me expand our motor unit's tactical role and thus their involvement in other types of operations outside of traffic. 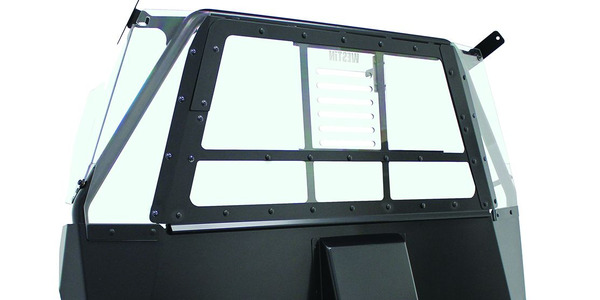 We used a rifle mount one of our officers designed, and even manufactured it ourselves with materials already located at our vehicle maintenance shop. We were able to secure it two ways inside of one of the saddlebags. 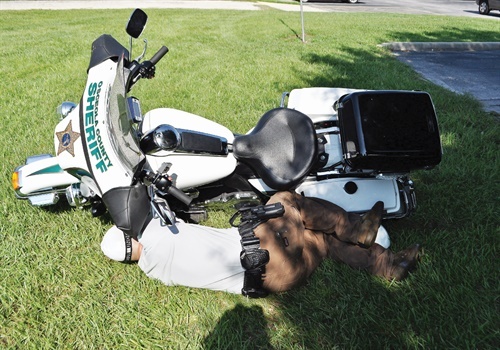 Though we lost some storage space, our motor officers appreciated the option of having a rifle with them. They also appreciated their new expanded role with the patrol division. As with anything, training is the key to success. Whether your motor unit has rifles or not they still have to be trained to use the tools they have. I think every officer should go to advanced tactics and firearms training, preferably taught by your agency's SWAT team. This way you can not only gain valuable insight into tactics and techniques, but also learn how to work with your SWAT team. 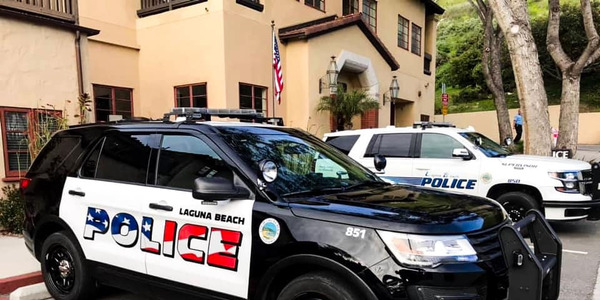 If your agency won't sponsor a formal school, coordinate with your SWAT team and see if you can attend some of their training days or schedule a day with them as instructors for yourselves. An eight-hour training day is better than no training day. Another skill that motor officers can learn is how to shoot from their motorcycles; you can train to pull up and shoot around your windshield. 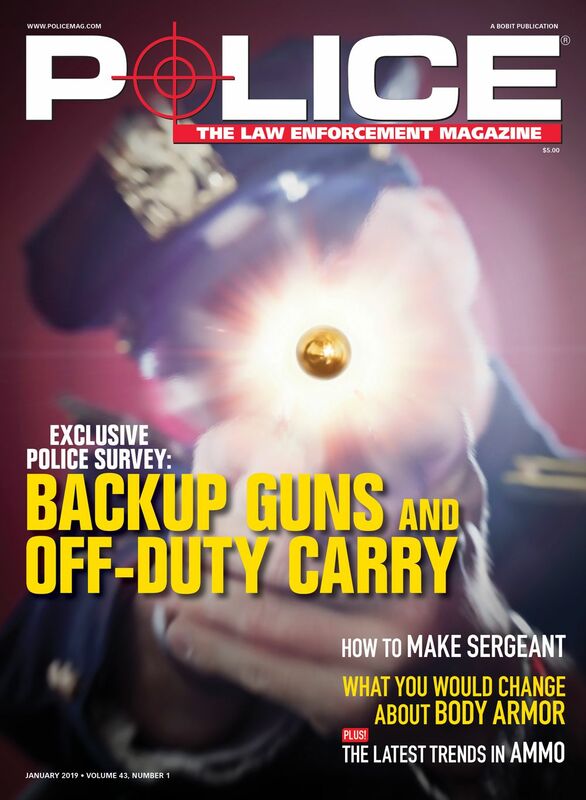 Think about it; you might have to shoot out of your patrol car and have probably done so already at a range event. Why would riding a motorcycle be any different? 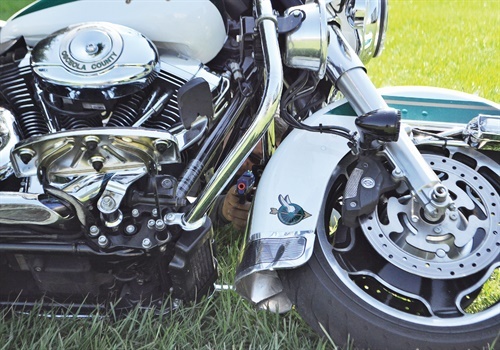 A motorcycle can be used for cover in an emergency as well. Remember, if the bad guy can't see you, it's harder for him to shoot you. You'd be surprised at how much cover a motorcycle can give you when lying on its side and at how many angles you have to shoot from. It's not something I'd do as a primary tactic, but it's good to know it's an option when the need arises. In other words, don't discount motor officers and what they can be trained to do. An agency that uses motorcycles gives them options they never had before. Supervisors and watch commanders need to look at motors as resource multipliers and not just traffic control officers. They need to think in terms of how best to use them in primary roles and leave secondary roles for non-sworn personnel. 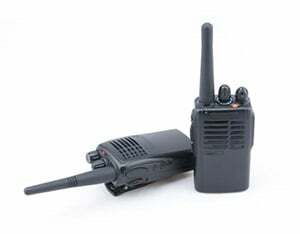 For example, depending on how many motor units are out working, a watch commander could easily add a squad of officers to their work force on a busy shift. The same watch commander, knowing that motor units carry rifles, could easily assign them to respond and secure a corner of a building during a barricaded suspect incident. They could also help patrol units clear a building during an alarm call. If you remember that you will have to deal with whatever pops up using the units you have available, then it's just good business to make the most out of what you have. If you lock motors into a role solely based on tradition, you will lose a potential resource and, more importantly, an underused tactical option.